Thanks to all of you who have been supporting our activities this fall. We had a busy October and are looking forward to our Thanksgiving Dinner in November. Here is a quick review of what we did since the last newsletter. We supported the Elk Grove Pumpkin Festival on the 1st & 2nd of October. Lion Dano and his crew handled the parking as part of our agreement with the Elk Grove CSD which provides space for our equipment storage. I had a great time visiting with fellow Lions as well as the people who visited the park for the Pumpkin Festival. 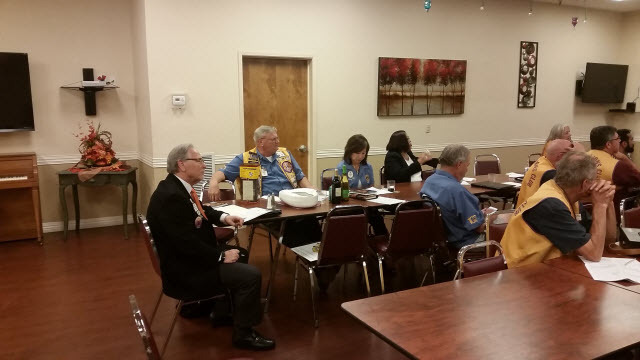 At our 2nd Monday of the month meeting at the Senior Center we hosted the District Governor and part of his staff. We had a great time. We hosted the Senior Center Breakfast on the 8th. 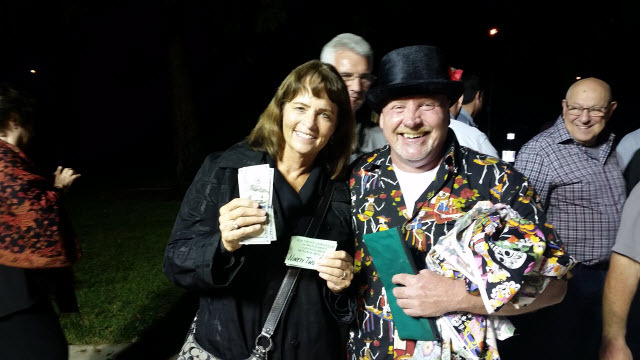 The big event of the month was at the Pavilion at Elk Grove Park. We had our Day of The Dead, Carnitas Festival on October 28th. Lions Lorene and Jay put together a great event. Almost a complete sell out. It was a fun time for all of us who worked or attended the event. In November we have our annual Family Thanksgiving Dinner on the 14th and then our board meeting on the 21st. 1st VP Lion Sharon will be handling the board meeting. Coming up in December is one of our major fund raising events, the December Crab and Shrimp Feed at the SES Hall. Please keep selling tickets so that we have a successful fundraiser. Lion Sharon still needs raffle prizes so touch bases with her if you have a raffle prize for the Crab Feed. After the Crab Feed, we have a Senior Center Pancake Breakfast on the 10th, our December Family Christmas Dinner on the 12th. 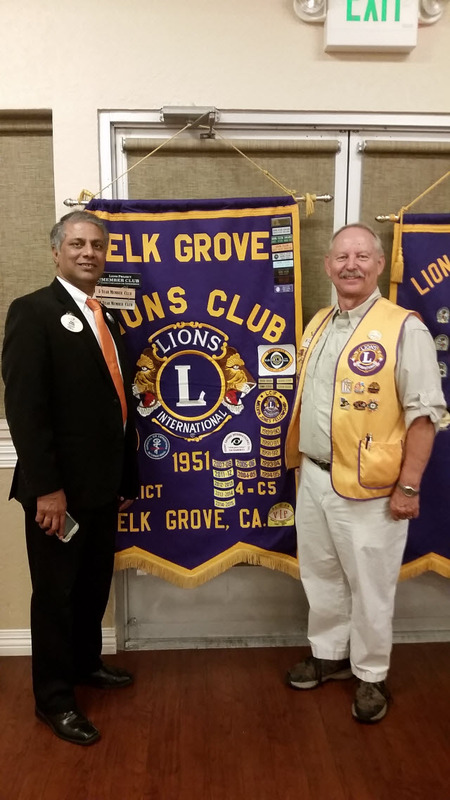 Rather than paying the club for the dinner, we will be collecting a check or cash for the Elk Grove Food Bank. Please plan to bring cash or a check made payable to the Elk Grove Food Bank Services in the amount of $10 or more. We will have a board meeting on the 19th. We also have the traffic control for the Elk Grove Food Bank’s food boxes on the 19th. 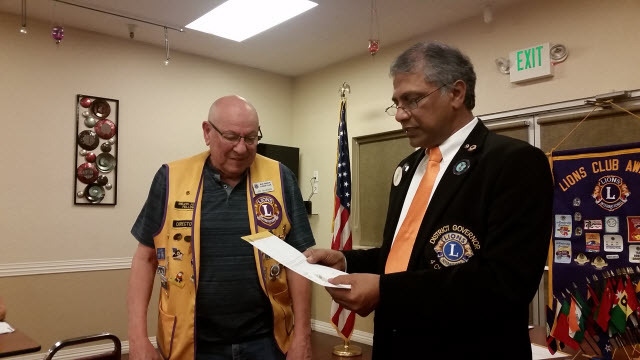 Check with Lion Jim Switzgable to see if he needs any help on the 10th and Lion Joe Tallerico to see if he needs any help on the 19th. I hope to see all of you at our upcoming activities. Please keep Lion Dave Simpson in your prayers. He had a stroke in June and is recuperating at home. Please keep Lion Heinz in your prayers. He started radiation treatment in December. Give him a call and lend him your support. He can be reached at (540) 888-3936. Habitat For Humanity Oct 15 Elk Grove Lion Jim Switzgable Had a great time rained during the day so everything didn’t get completed. Funding for County Fair we couldn’t come up with a fundraiser for this. Eagle Scout Report for Troop 59. Two scouts have qualified for the Rank of Eagle. Matthew Morris and Kyle Blackburn. No others will qualify this year. Court of Honor is November 19th at 2:00 for Kyle Blackburn. Lion Jeylon Strong has volunteered to present awards. 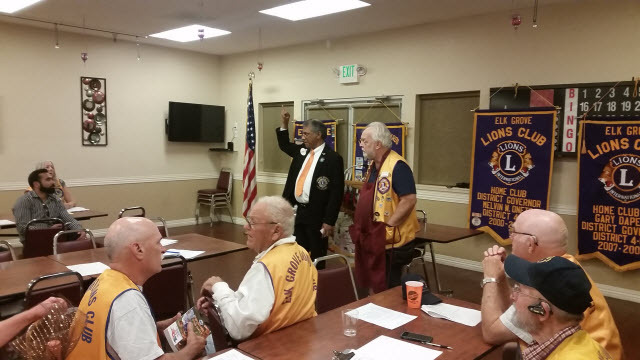 The Speech contest in February Lion Rick and Lion John Jr. will chair again. Have they scheduled and ordered supplies? Date set and notifications to schools? February 13th or February 27th? Chairpersons were not at board meeting to report. The board voted on membership dues in August. 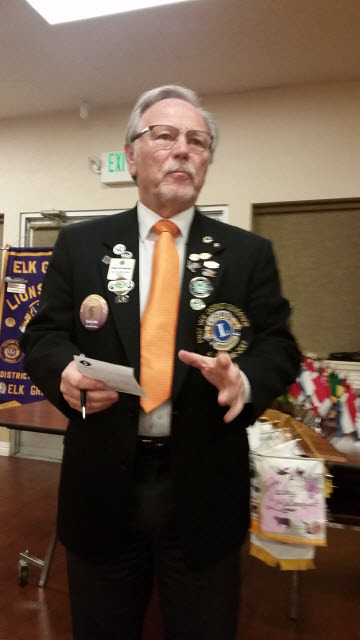 It was moved by Lion Bob Brewer and 2nd by Lion Pancho to have letter go out in April 1st for due payments. Due Payments need to be paid by June 30th or members will be dropped from the club on that date. Has research been done to allow this? Still looking into this matter. Have we dropped members who have not yet paid their dues? We have dropped Howard Stoll and Donald Veninga. Have we received an invoice or a request for funds to pay Habitat for Humanity the $1,000 we have pledged? We have not received a invoice for is donation. Lion Jim in going to see if they might be willing to have the lions work off the donation instead of the cash value. Mayor’s Volunteer Awards due by October 31st. 1,000 dogs and buns for Veteran’s Day Event. We are looking into getting buns and hot dogs donated. Will Stodden Scholarship we have the funds now and we are paying the scholarship. Student Speaker Contest Feb 13/27 Senior Center Lions Rick & John Jr. This entry was posted in Newsletter 2016-2017 on November 4, 2016 by Bob Shipley.